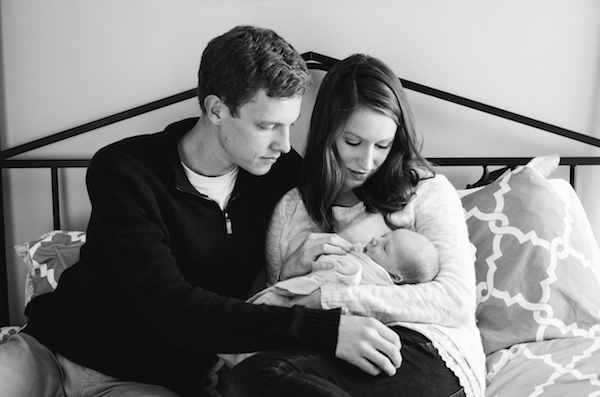 Nothing puts a smile on your face quite like an adorable newborn baby. 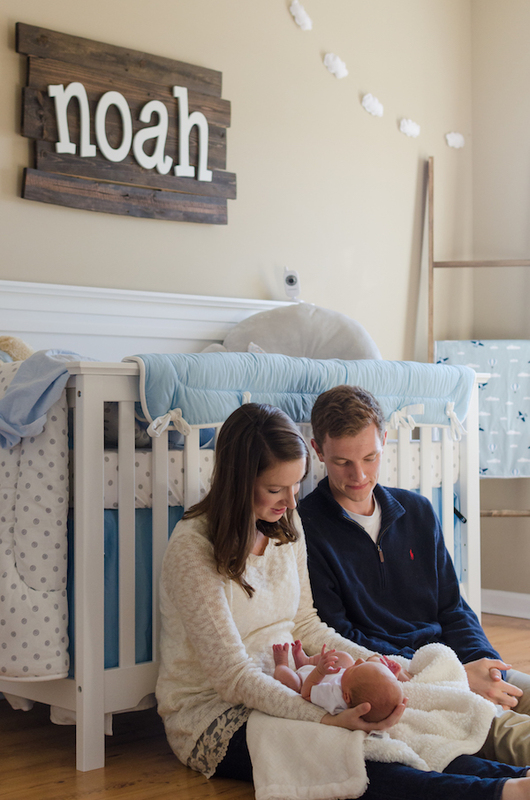 Noah was due in mid-November, but Mallory and Andy became first time parents on the morning of October 24th when Noah arrived 3 weeks early. 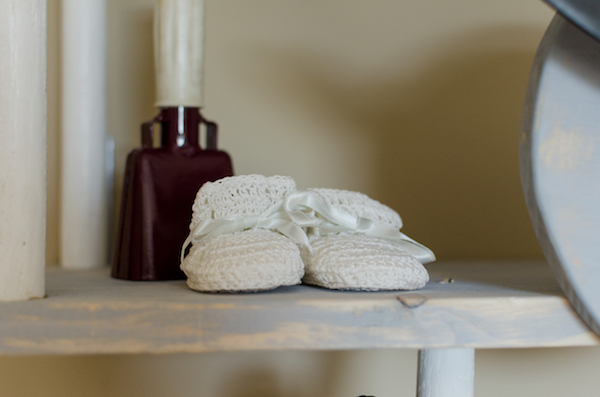 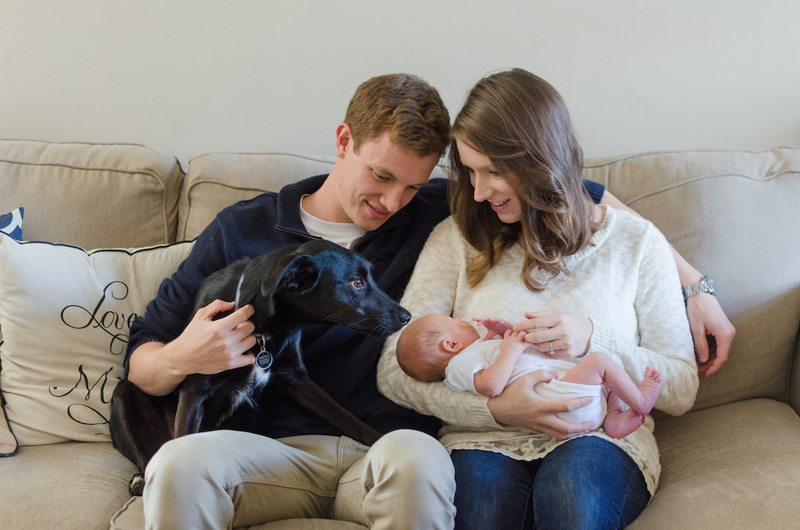 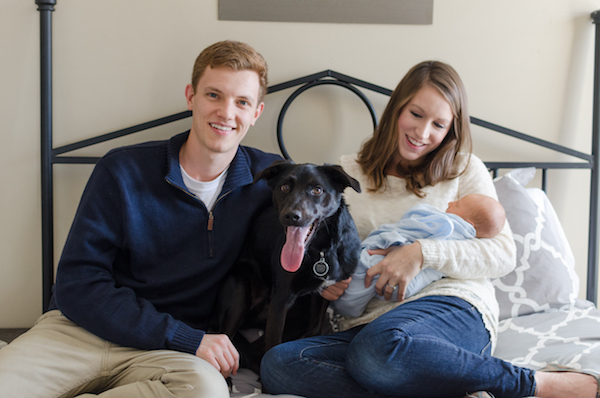 Mandy Liz Photography had a newborn session with them at their home, and they wanted to include their sweet rescue dog, Dakota. 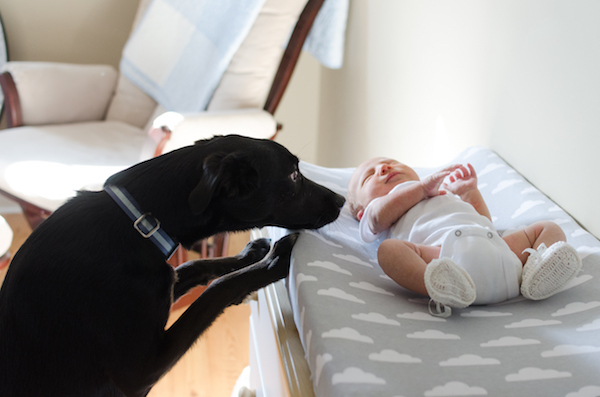 “Dakota is such a good big brother and is adjusting very well to his new companion. 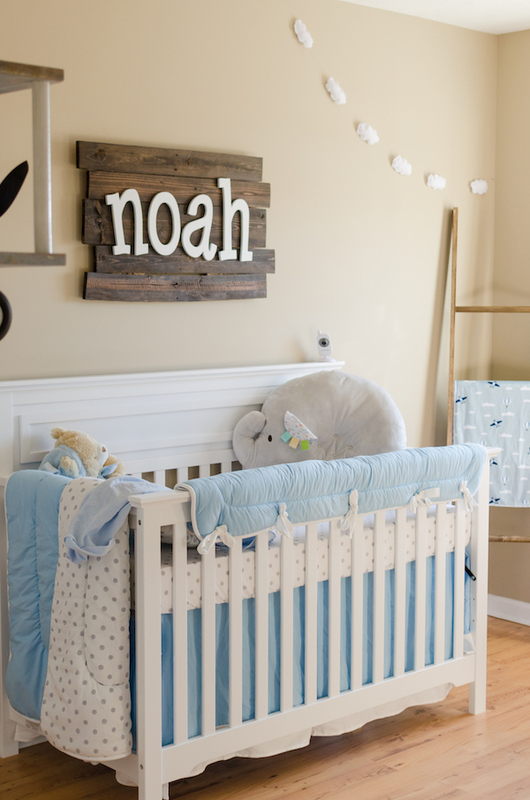 He has a dog bed right next to Noah’s crib, and he is very attentive to Noah’s needs. 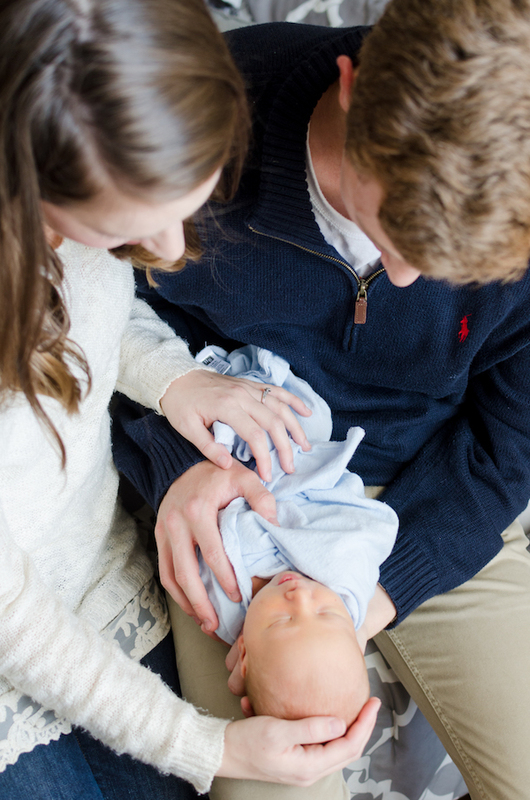 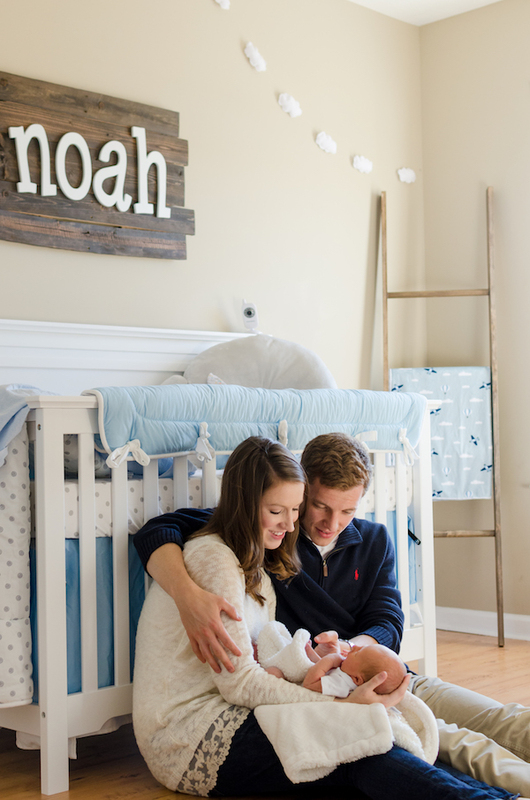 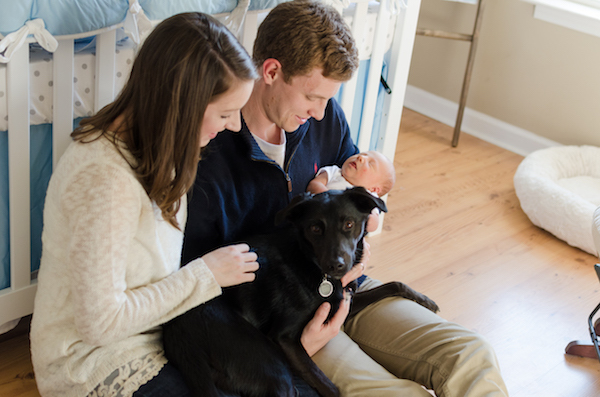 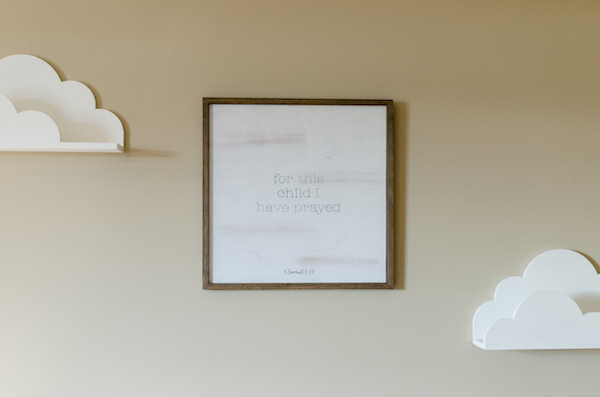 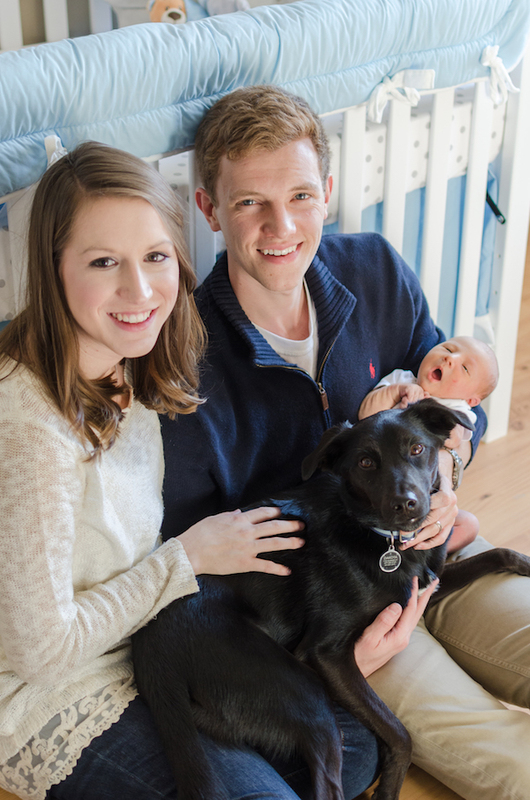 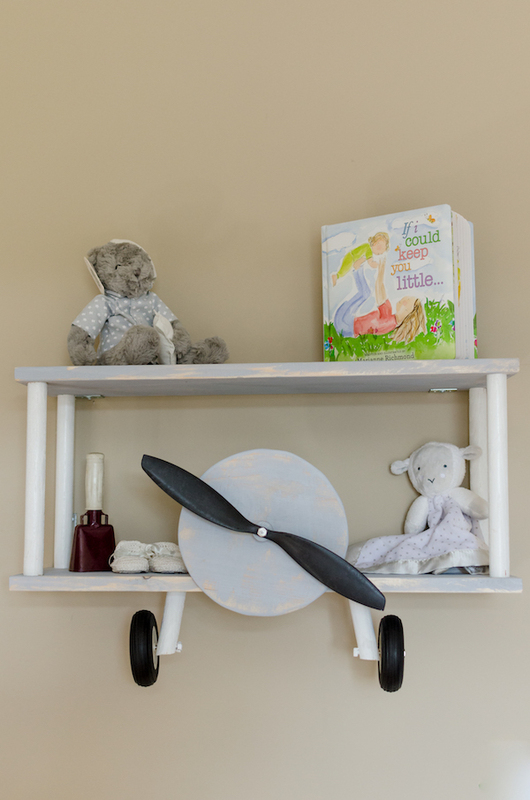 When Noah was crying in the crib, Dakota was very quick to bark and let Mallory and Andy know.” Our hearts!